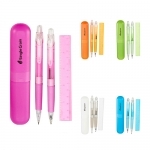 Promotional Logo 6-Piece Colored Pencil Sets are amazing promotional gifts for libraries, kindergartens, and other kids’ brands to make good brand awareness among kids. 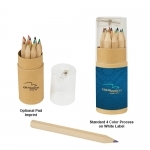 These custom pencils are presented in Green, Blue, Black, Brown, Yellow and Red colors. 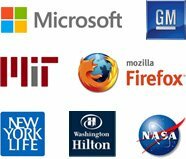 With a total dimension of 1 ¾" W x 3 ½" H x ?" D, these custom kids products are also offering Natural, Blue, White, Red and Black color choices. 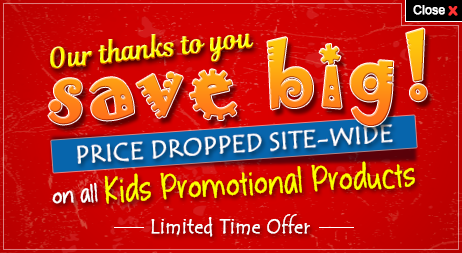 Order these kids products quickly to get free online proofs and pay only after approving the artwork. 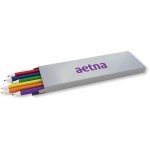 Request a quote to know wholesale savings for these Promotional Logo 6-Piece Colored Pencil Sets.